Today I have another super fun reader wedding to share. 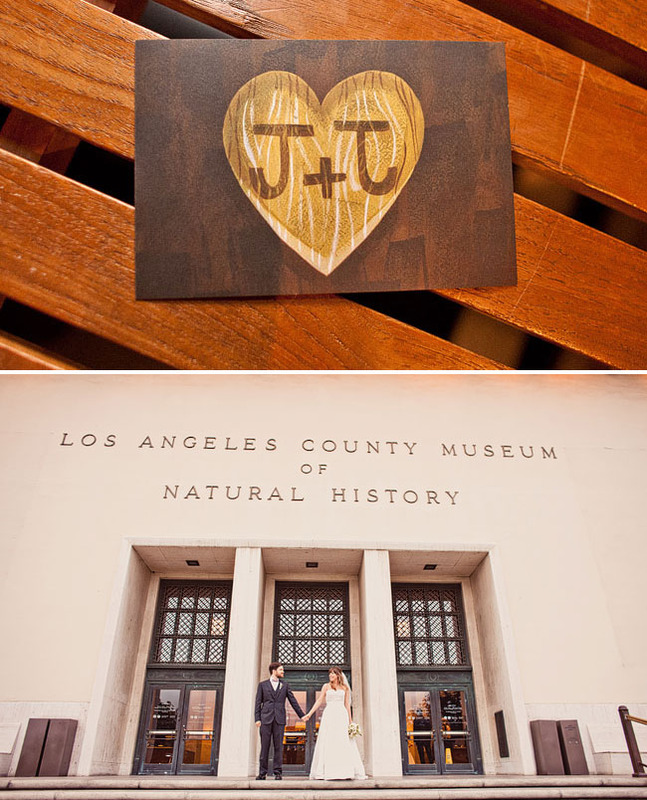 Jillian + Jed originally wanted an outdoor farmhouse style wedding, but after attending an art show for artist Amanda Visell (she’s the one who did all our artwork, invites, etc) at the Los Angeles Natural History Museum, things just clicked! From Jillian, “Once we choose the museum as our venue we wanted to bring the outside inside and make it twinkly and farmhouse chic! I kept referencing the fair scene in the movie Big Fish for our reception vibe. 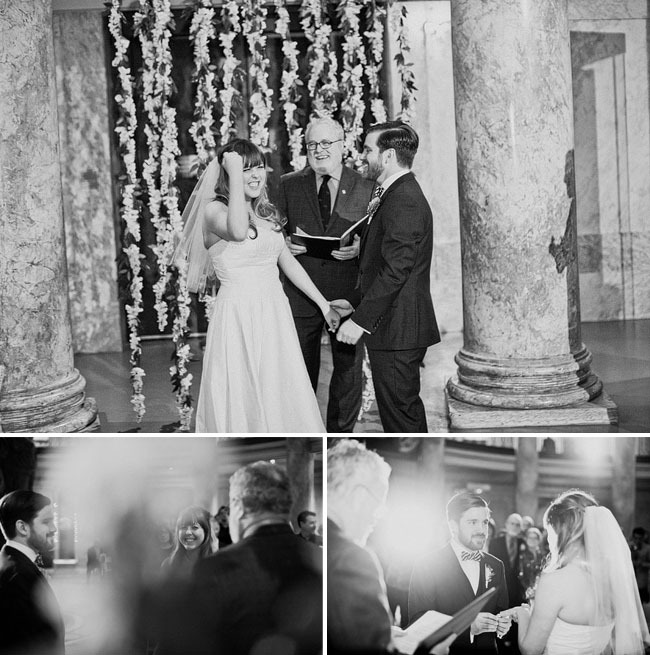 The ceremony was a little more understated and classic being in the Rotunda of the Museum but we kept our original theme and vibe for the reception.” Thanks so much to Candace and Mark Brooke for sharing their photography talent with us today! It was all about DIY, like shopping for miss matched antique china all around LA and OC thrift stores, Jed and his dad building the bar and the log stands and putting together the twinkly lights and a million other things, my mom and godmother making our wisteria ceremony backdrop, and making the centerpieces a few days before the wedding by going to the LA flower mart and using mason jars… just to name a few of our DIY projects! 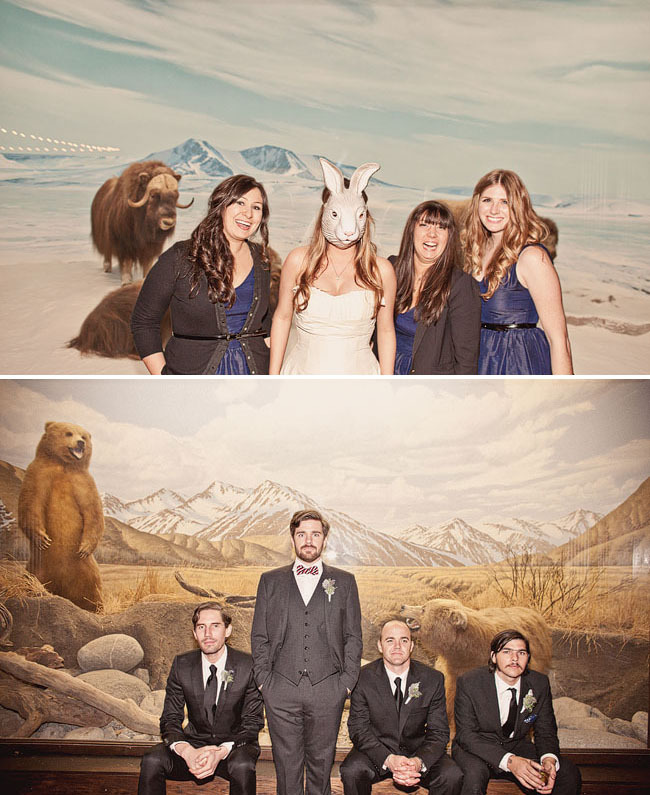 Love that they had fun with some of their portraits with these masks + the animals at the museum! Every single moment of our wedding! We worked so hard to make it special and it really paid off… we thoroughly enjoyed every second and it really was the best day of our lives! It was our dream wedding! Our first dance was Do You Wanna Dance by The Mamas and the Papas, then right as the song ended the dj dropped in the same song, but the Ramones version. This got everyone on the dance floor! The best advice I was given (and this is for those couples who are budget conscious) was to pick the one thing that is important to you both and make that your big ticket item. Then do what you can to DIY with other aspects and be willing to let a few ideas go as long as the important ones are realized and the essences of what you want your wedding day to be stays intact. For us our “big ticket” item was the venue, we loved the uniqueness and were excited about how fun it would be for our guest to roam the museum at night! After that we did as much DIY things we could to make our dream wedding! Although it was hard work we are so thankful we paid attention to all the small details and made our dream wedding 100% us!! And we are so thankful to our family and friends who made the day possible, it literally took a village but it was so worth all the sweat and tears!! Congrats to Jillian + Jed!! And thanks for sharing your wedding with us today. I love this wedding! Incredibly sweet and unique! Does anyone know how to get ahold of Mike Montenegro for the Cinematography? Thanks for sharing! Reminds me of that great scene in Breakfast at Tiffany’s in the five-and-dime … love it! OF COURSE Green Wedding Shoes has something they JUST posted!! Anyways, I love this. The flowers, the masks, the couple. 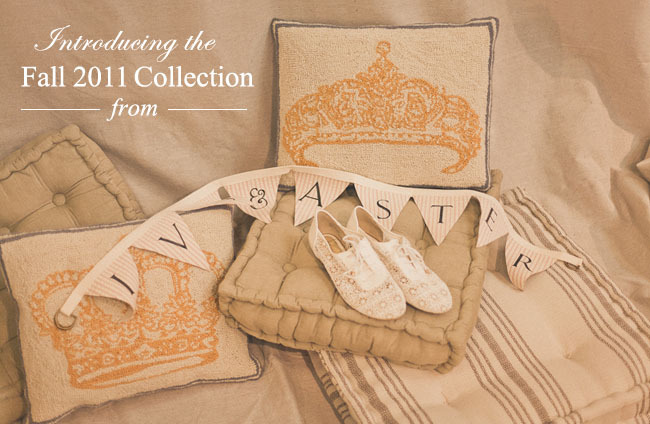 The invites are especially cute! This is so kooky and AWESOME. The invitations are fabulous. This looks like a mighty fun wedding. 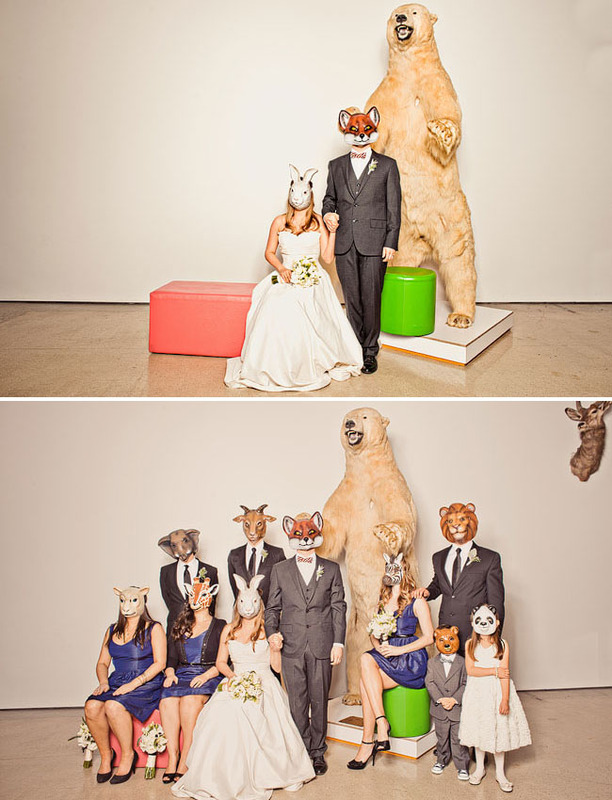 oh man, that picture with the wedding party wearing the masks is so great! the little ring boy especially stuck out to me with his little hands folded….cuttttee!! Wow! How very unique! Never seen anything like this; I love it. The cake and cake stand are fantastic! 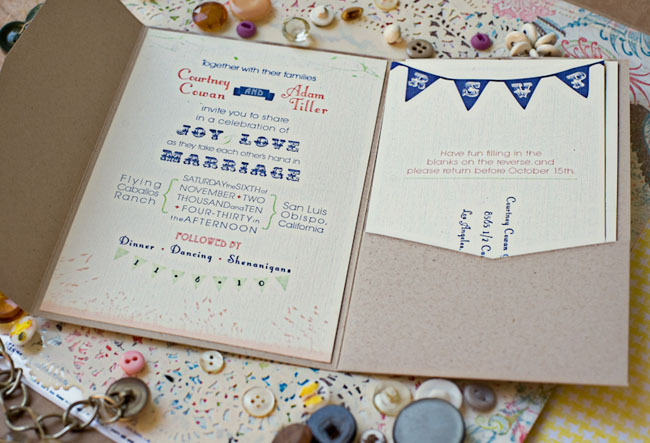 Great creative planning and design here; love love love! 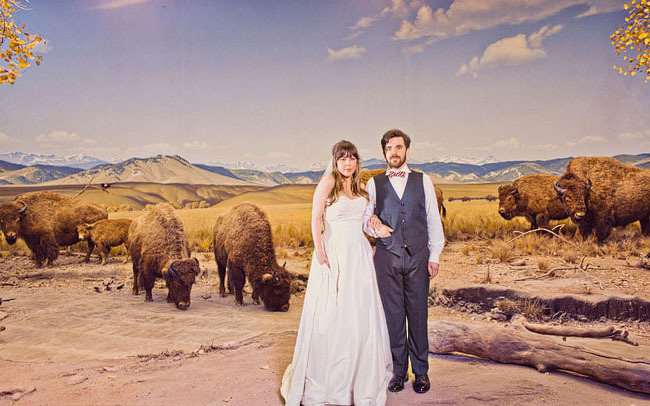 so neat to see the LA Natural History Museum being used as a wedding venue! makes for such a neat background for so many photos! All in all, your wedding is my fave so far. Great attention to detail. And your cake toppers are so incredible! Just awesome! I think the pictures of the entire wedding party is masks is AMAZING! 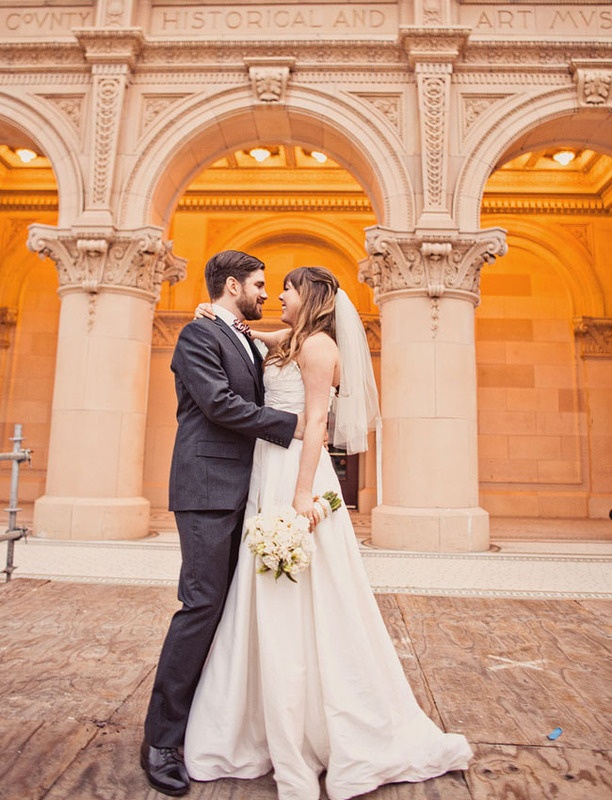 What a visually rich wedding! this is my favorite wedding this year! I had childhood flashbacks to visiting the dioramas at the LAHNM. 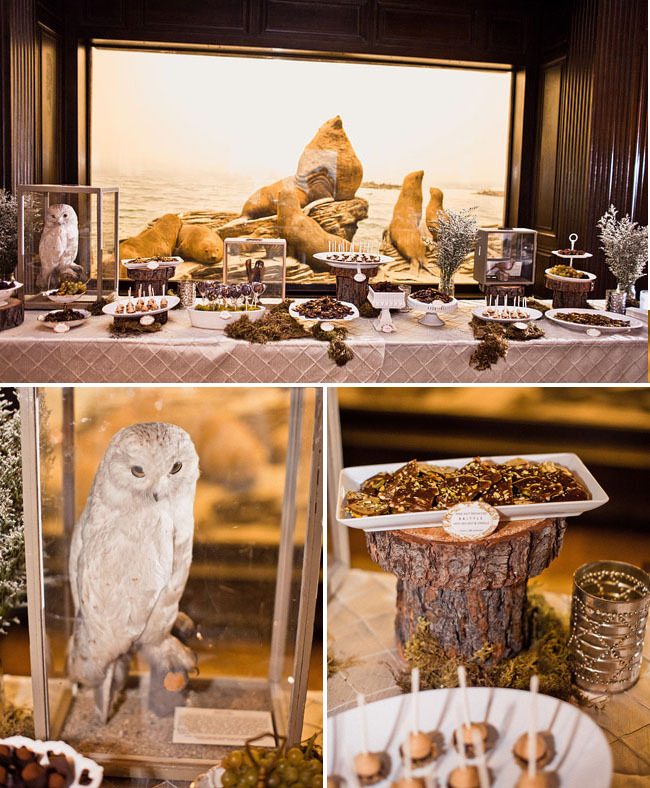 I love that place and the nature theme, which is like our wedding. Where did you get the masks??? Thanks! OH my GOD! love love LOVE this. 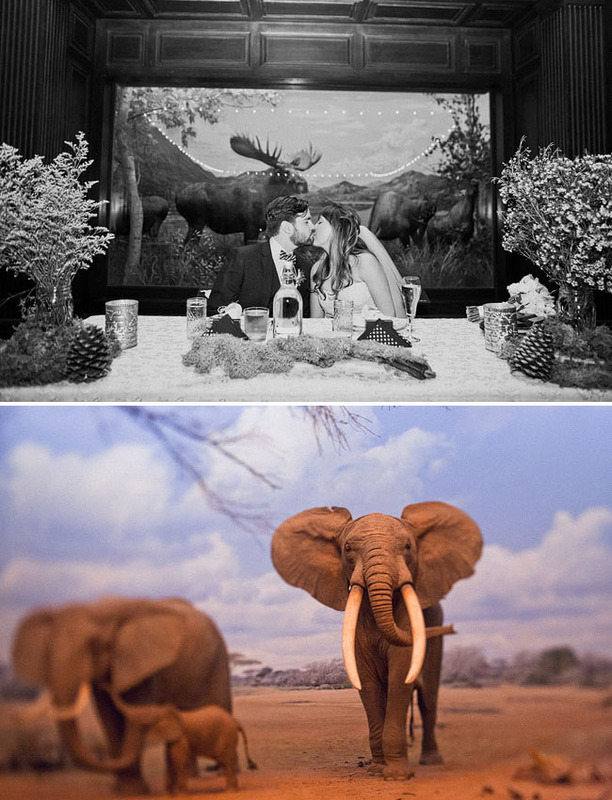 The natural history museum and all their decor made for a VERY awesome wedding! So unique and spectacular. 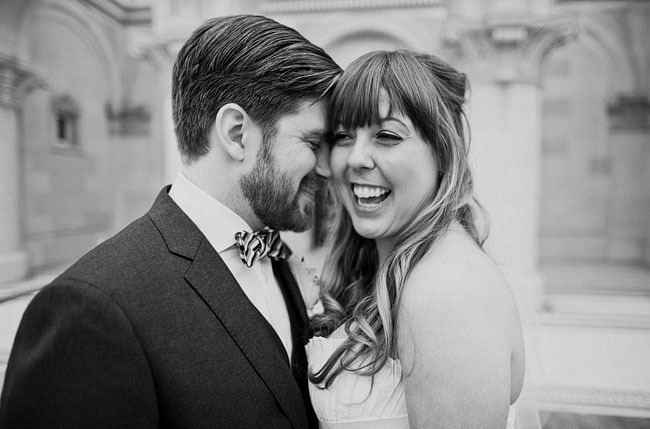 this might just be my favourite wedding I’ve ever seen on GWS…it’s amazing! 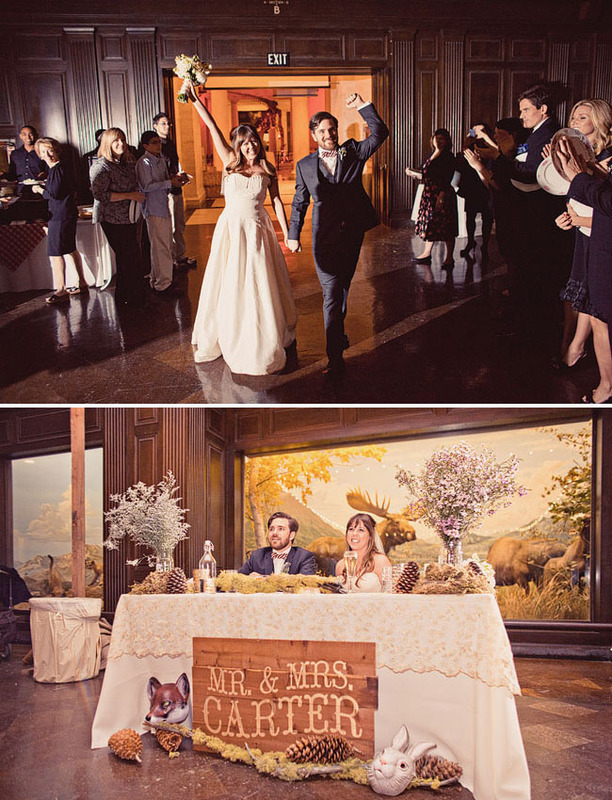 The bride and groom are so fun and everything is perfect, the setting, the clothes, the invites…as I said amazing. 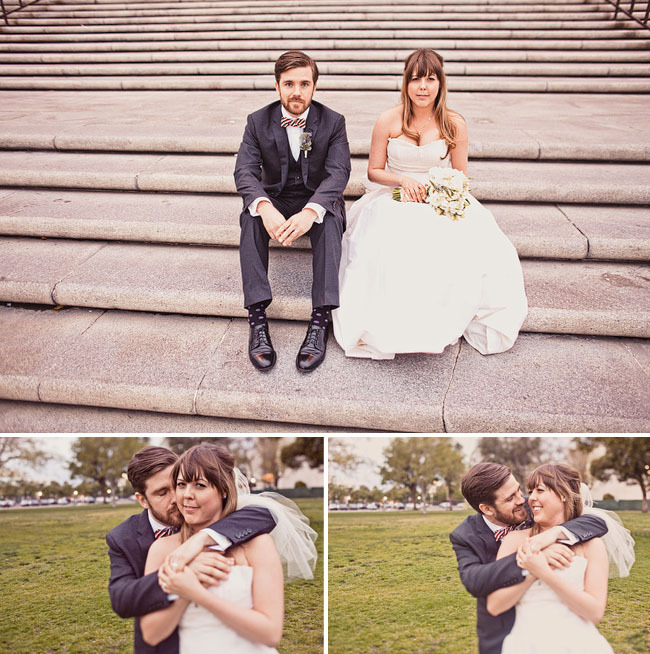 BEST PHOTOS EVER! How can you get better than posing with the masks! 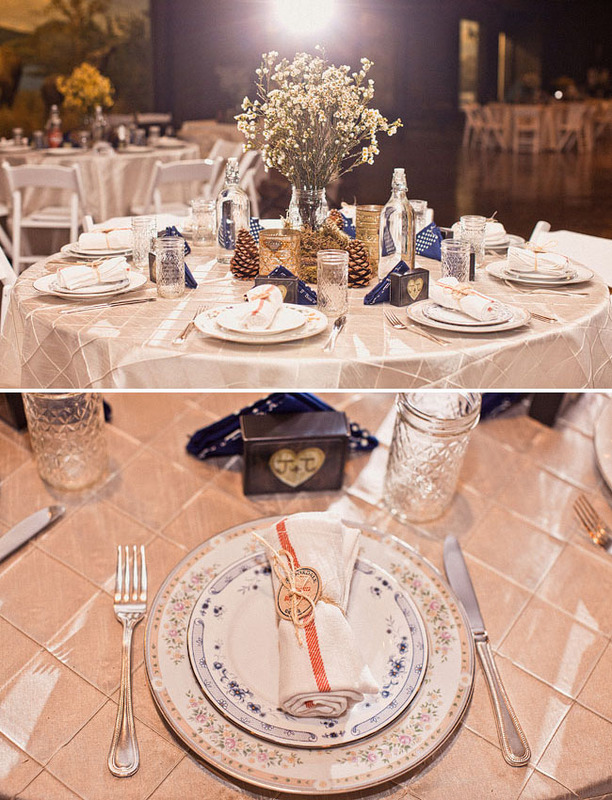 I love everything and how it coordinates with the venue! Those animal masks… I DIE. This is so fun! I love the artwork, the signage, the PINECONES! Love it! Absolutely darling! I love everything…well done to all & congrats to the happy couple! I really made a smile when I saw the concept of the wedding. Are talking about the “The Big Fish” movie of Ewan McGregor? Well, that movie is one of my favorites. The casts there are totally amazing and talented. 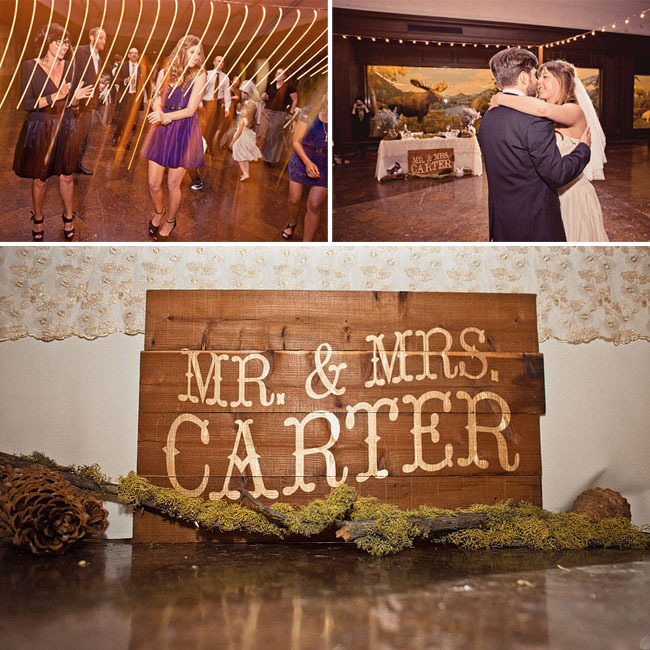 Good thing that you were able to incorporate it in Mr and Mrs. Carter’s wedding. Very special!!! I really enjoyed the video at the end, nicly done…Congrats…. Wow in a museum!!!!!! cool! so like the portrait with masks…. Wow wow wow what an amazingly unique wedding! I love it. Love it. 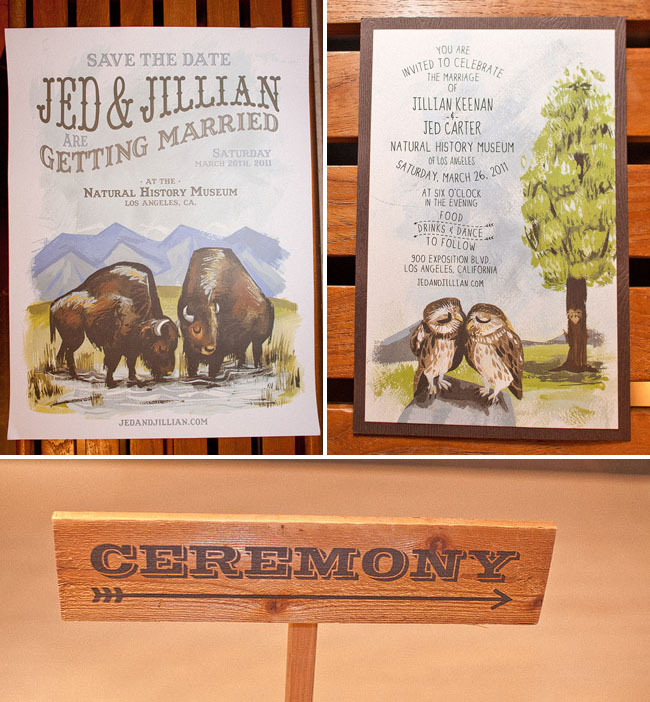 I also love the invitations, the mask shooting, but also the expressions of Julian and Jed. 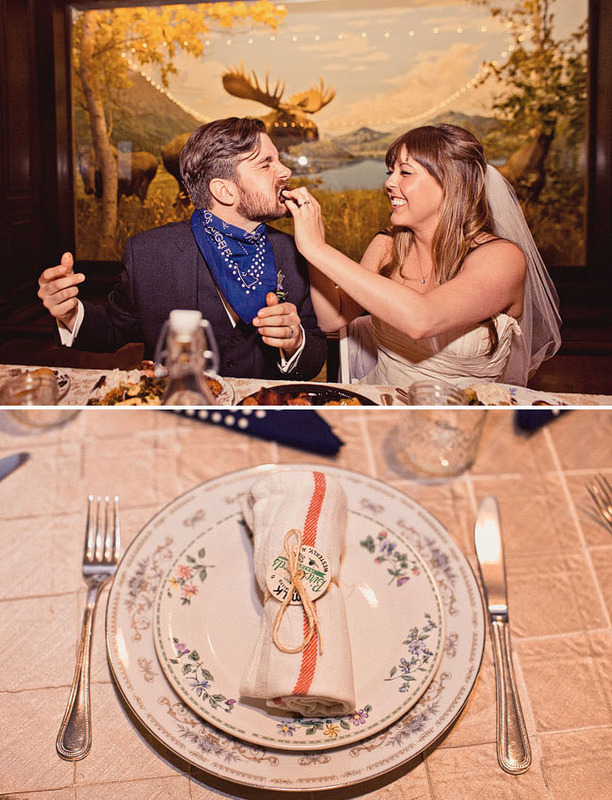 So many groom-friendly things to love about this wedding. 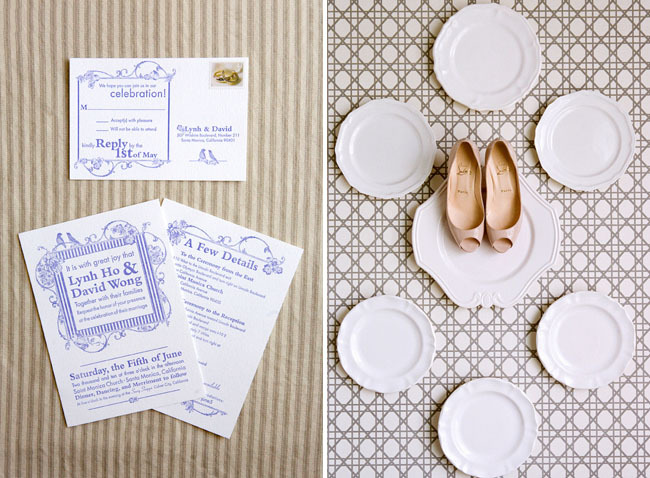 Taking the cake: the sweet invite design & the family portraits. Congrats! 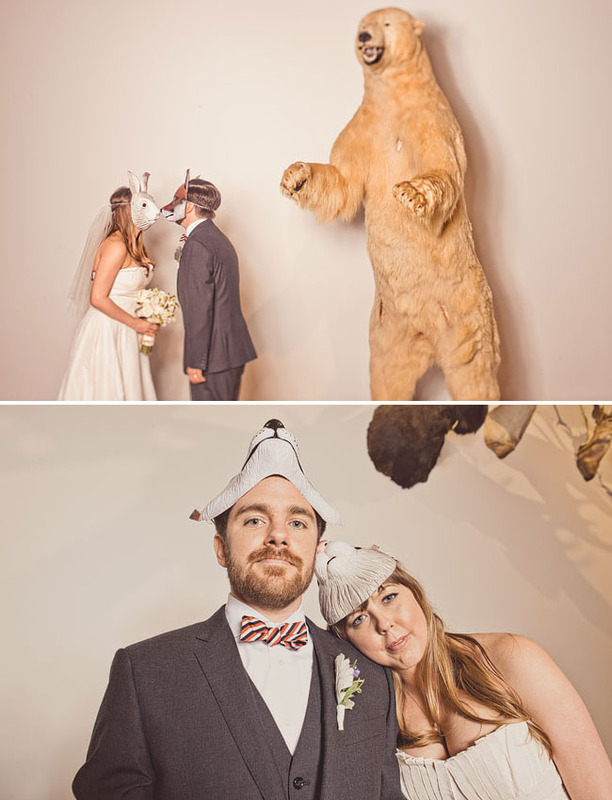 There’s so many amazing aspects of this wedding, from the location, the amazing invites by Amanda Visell, the animal masks, I could go on and on. Super unique and fun! Wow – this is beautiful! I love it. What a georgeous couple! I live in lil ol’ New Zealand, where finding offbeat stuff is so hard. I am in love with the animal masks – do you want to sell them on!!?? Or rather, direct me to a website where I could buy some? 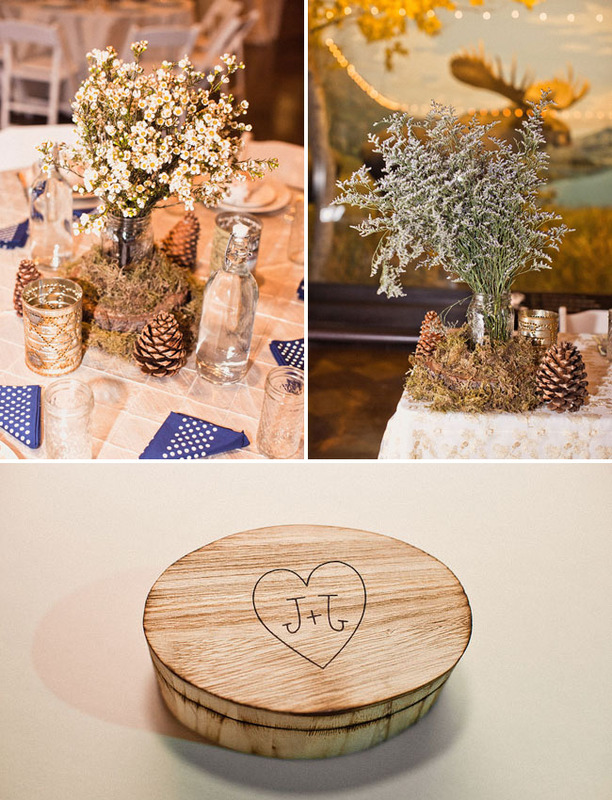 We’re having an outdoor lakeside wedding, would be so fun to have those as props! thanks so much! Love the location for this wedding!! Love the illustrations from the invitations!! 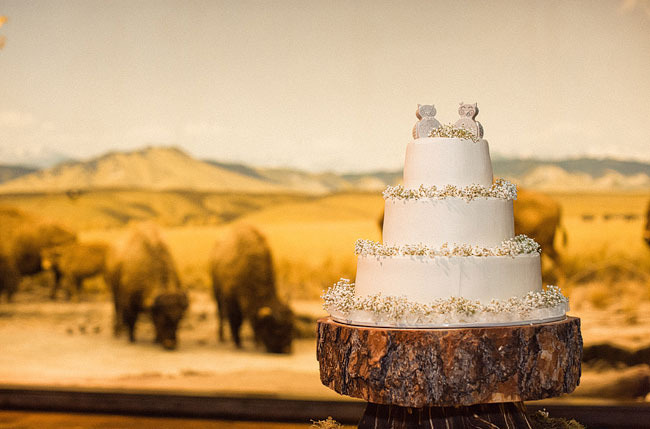 Awesome video and love the dessert table – congrats to them!! What a fun wedding! I hope mine is this much fun!!! YAY! This is the coolest wedding ever!!! Wish I was a guest here. Cool invites, love the masks, the decor rocks – great wedding with lots of personality!! How fabulous is this! 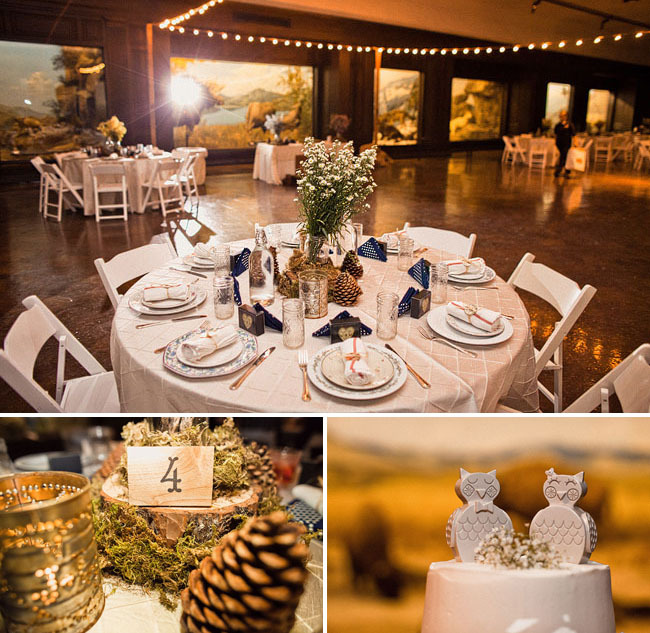 Once in a blue moon do you have the opportunity to attend/design a wedding,like this one. Great job! 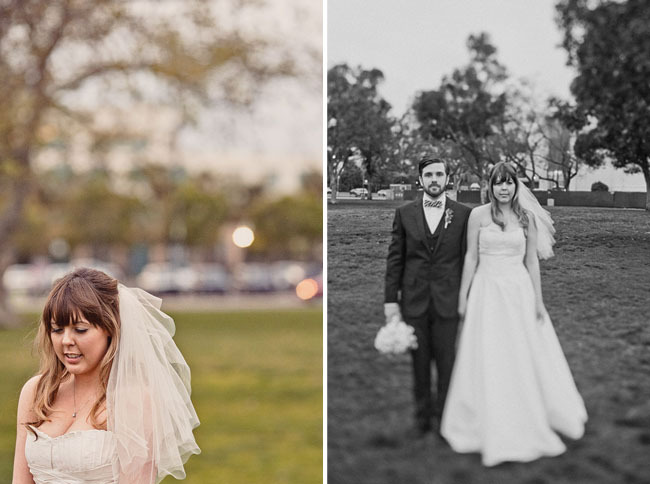 Such lovely wedding pictures. Your blog is just amazing. keep up the good work.